Pro Walk/Pro Bike, the leading international conference on walking and bicycling, offers more than 100 program sessions, mobile workshops, and problem-solving workshops bringing together non-auto-centric transportation enthusiasts, including planners, engineers, civic leaders, government officials, public health professionals, architects, and landscape architects. Held in sunny Long Beach, the 2012 Pro Walk/Pro Bike conference offered attendees the opportunity to network with like-minded enthusiasts, workshops, and sessions to help build coalitions, create planning initiatives and designs, and foster ways to grow the political support and funding needed to catalyze active transportation. "Long Beach has embraced walking and bicycling as tools to improve its economic vitality, its quality-of-life, and as a way to ensure all residents are connected to a just and equitable transportation system." At the September 2012 conference, Libby Seifel joined the session "New Challenges, Tools, and Opportunities in Planning for Healthy Transportation” led by Jeremy Nelson (Principal at NelsonNygaard Transportation Consulting Associates). The panel also included Arfaraz Khambatta (Director of Access Consulting at Sally Swanson Architects Inc.), Heath Maddox (Senior Planner, Livable Streets Subdivision at San Francisco Municipal Transportation Agency), and Jean Fraser (Chief at San Mateo County Health System). Using successful case studies and lessons learned from communities of all sizes, the panel explored some of the challenges and opportunities in the development of healthier active transportation systems, prompting discussion on planning, outreach, and funding tools to inform planning enthusiasts of practical techniques to help in the implementation of healthy transportation policies and programs for California communities. The National Center for Bicycling & Walking, a program of Project for Public Spaces, established the Pro Walk/Pro Bike conference in 1980. 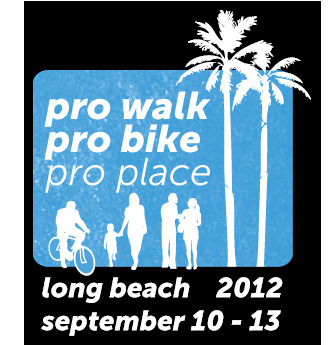 More on Pro Walk/Pro Bike and upcoming events can be found here.